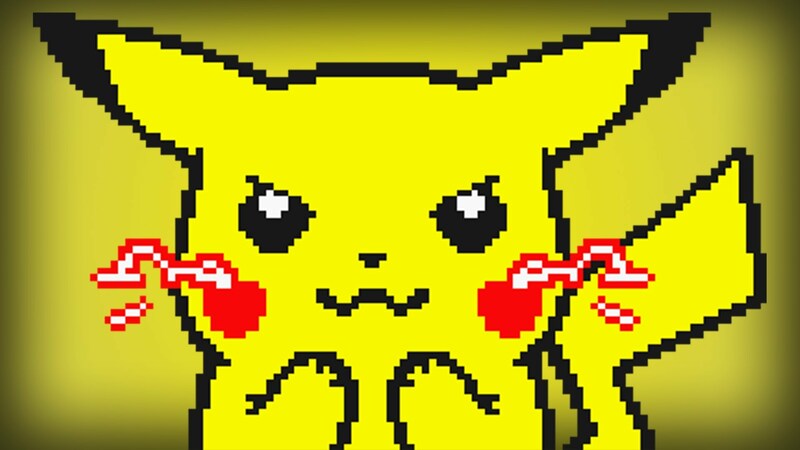 What's Different About Pokemon Yellow? If you're just getting into the original Pokemon games, what appeal does Yellow hold? I get it. You've never played Pokemon Yellow, but maybe you had Pokemon Red or Blue, or both. Or maybe you just never latched on to Yellow because it's not an appealing color. Which game should you buy on the eShop? Good question. It's a little difficult to figure out what all the differences are between the games, and the descriptions aren't exactly forthcoming. That's why I've put this quick guide together. You'll soon wonder why you didn't look into the Yellow version before! Here are the differences between Pokemon Yellow and the Red and Blue editions. The full title of Pokemon Yellow is Pokemon Yellow Version: Special Pikachu Edition. It even says it on the box. You get that adorable little mouse first off, right off the bat, instead of a starter like Bulbasaur, Charmander, or Squirtle. So if you love Pikachu and the Pokemon anime, you're going to feel right at home here. Are you a fan of the Pokemon anime series? Pokemon Yellow was actually based on the anime, where Ash gets the Pikachu caught by Professor Oak on Route 1 and the rival (Gary in the anime you're probably used to) gets an Eevee. Brock and Misty don't end up accompanying you or anything and you still have to defeat them, but you do run into Team Rocket. Not just Rocket grunts, but the honest to goodness Team Rocket, with Ekans, Koffing, and Meowth. It's almost like playing through the show in miniaturized form with all the window dressings of the other two games. If you weren't quite enamored with the way the Pokemon sprites looked in Red and Blue, they've been altered to look more like their anime counterparts here, in addition to the trainers you'll see throughout the game like Misty and Brock. There are several different cave layouts, and even different looks for storefronts and towns to make it look a little more like the anime. It should look a little more familiar if nothing else. The biggest difference is of course that the player gets Pikachu over the other starter Pokemon, which can be obtained throughout the game from various players for free. You've only got Pikachu and his Electric type moves for the first three gyms, which can present a challenge. This Pikachu also walks behind your player and you can affect its mood by how you treat it. It refuses to go into a Poke Ball and cannot be evolved into Raichu. You even get to hear the Pikachu of the anime's adorable cries when being sent into battle, interacting with it, or if it falls in battle. There are different locations for where you can capture Pokemon, your rival has a variation on an Eevee evolution, and more. These are the basics to understanding the differences between Red and Blue and the anime-centric counterpart Yellow. It's absolutely worth playing, even if you've played through the other games before for a different sort of experience. Plus, if you're a Pikachu fan you really can't go wrong.